← The case for making Landfall in Antigua. So often it is the work of one person or a single family whose actions and vision can be the spark that changes the course of history. 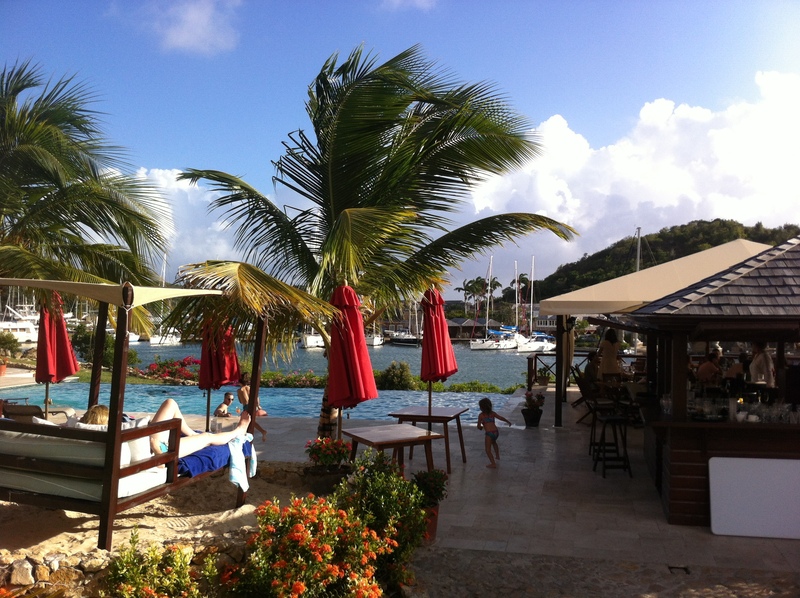 For Nelson’s Dockyard in English Harbor, Antigua it was the Nicholson family. It was their hard work, the enthusiasm of the family and certainly others that galvanized support to rebuild the iconic Dockyard that was once the center of British naval power in the Caribbean. 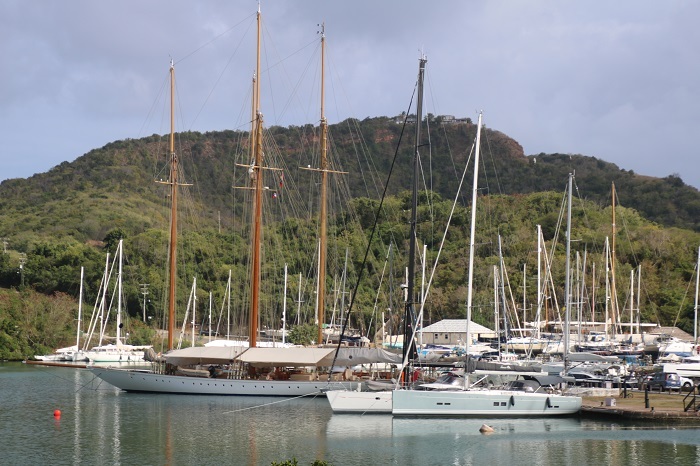 At the time of their arrival, only a few years after the end of WWII, Antigua was not the tourist destination that it is today and the yacht charter business in the Caribbean was not yet born. 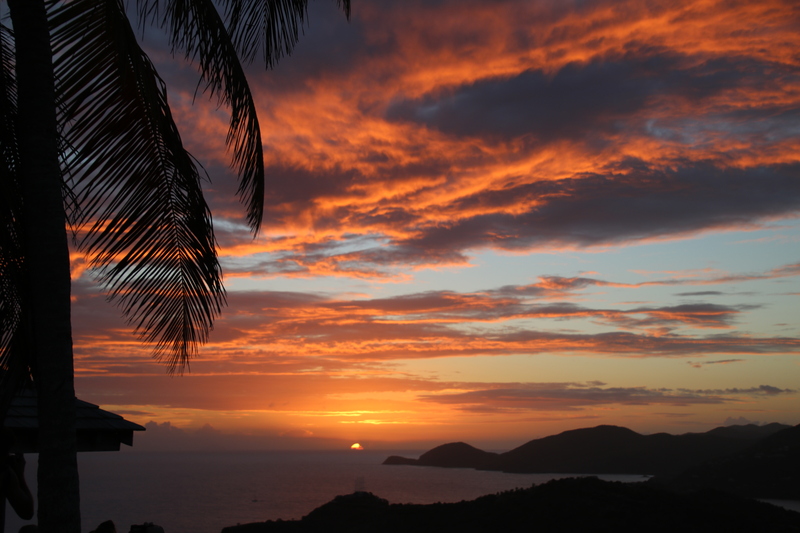 Soon after their arrival, the family was approached by John Archbold, a wealthy landowner from nearby Dominica with a request to charter Mollihawk. This event proved to be the beginning of the first charter business in Antigua, that lives on today as Nicholson Yachts Charter & Services. 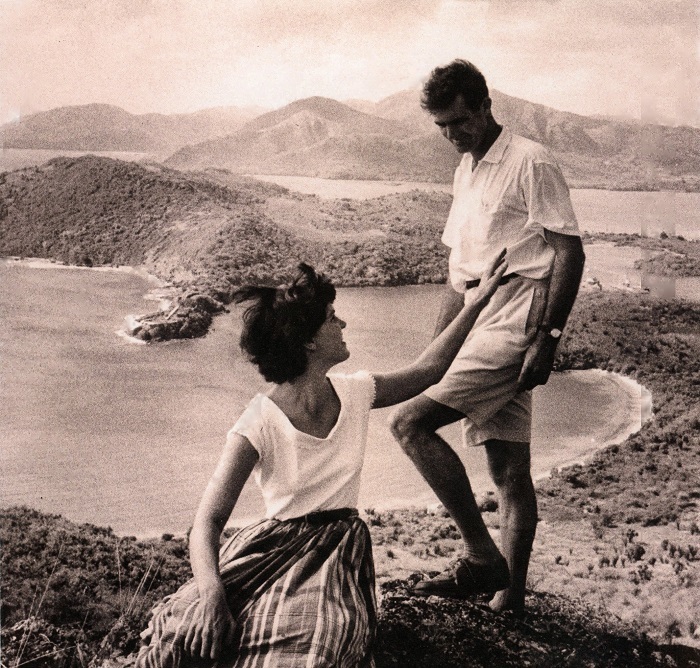 Desmond was an enthusiastic photographer and when I was in Antigua last November I visited his daughter Nancy’s art gallery, saw a charming book of his photography and purchased a copy. All of the black and white photos in this post are from that book and are posted compliments of Nancy. 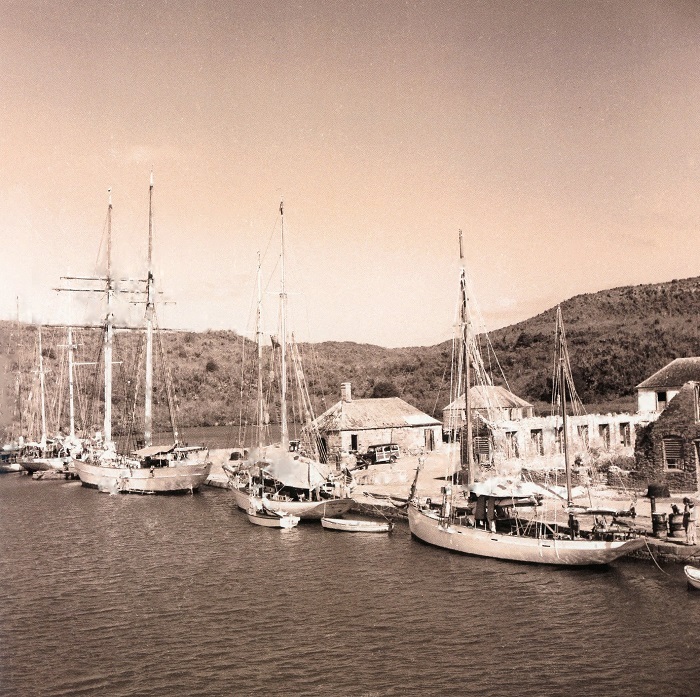 There were only a few cruising boats visiting Antigua in those early days. The building in ruins to the right in this photo, without a roof or windows, is where the customs office is now located. Today the grounds and customs office are fully restored. Nearly every inch of dock space in English Harbor and nearby Falmouth Harbor are crammed with all manner of mega-yachts and cruisers. Some of these behemoths look more like ocean liners than private yachts. I was told that in January there were some 80 mega-yachts in residence between English and Falmouth harbors. Shortly after arriving in Antigua, the Nicholson family received permission to take up residence in the abandoned Dockyard and set about doing what they could to improve the facility. No drones in those days. These photos were taken after much of the rebuilding was done, replacing missing roofs and walls. Today the look of the Dockyard is true to it’s roots and looks much like it did when it was the Caribbean base for the British Navy with all of the buildings beautifully restored. 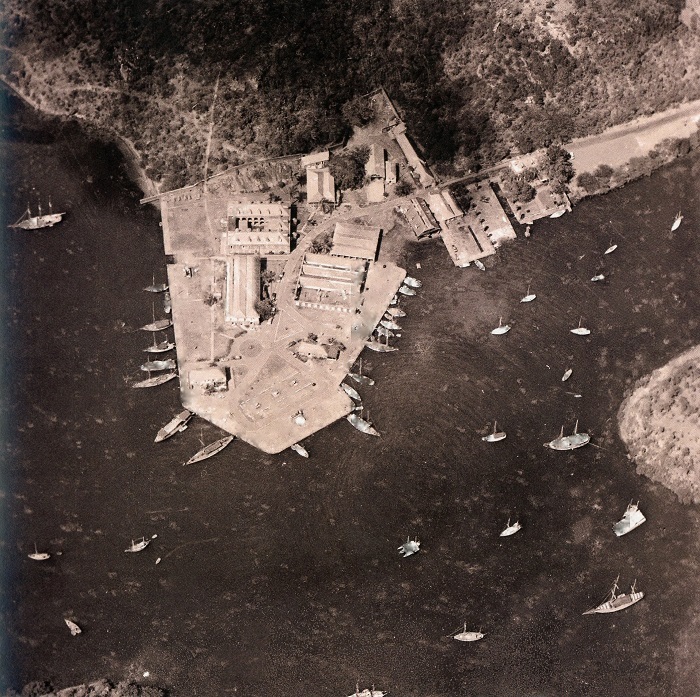 In 2016 the Dockyard was designated as a World Heritage site by UNESCO. As a point of interest, this next photo was taken about a week after back to back hurricanes ravaged nearby Barbuda and other islands in the Caribbean two years ago. By a quirk of geography and the storms path, the island and Dockyard were spared. 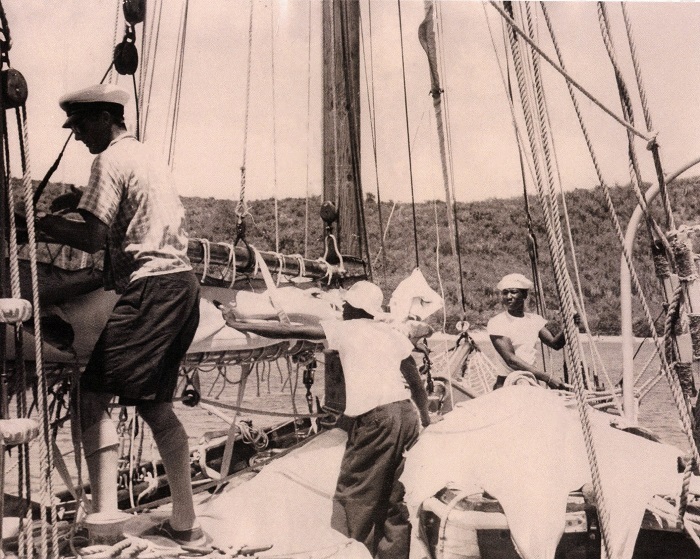 That same year the Salty Dawg Rally decided to head to Antigua with 55 boats making landfall on the island. The Dockyard doesn’t look all that different these days than it did when Desmond took this photo. Well, one thing that is different is that there are a LOT more boats. 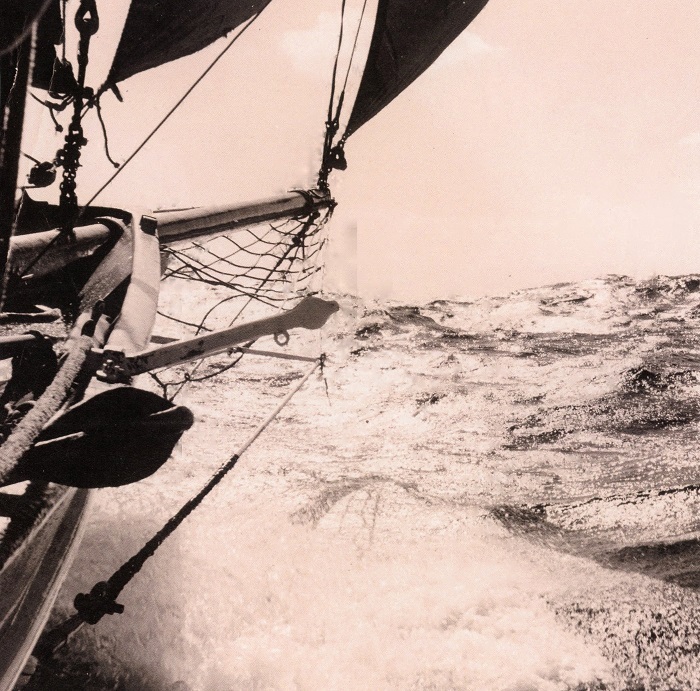 This is a photo of boats participating in the Oyster round the world rally from a few years ago. I have a friend who had hoped to meet me there this April as they return, having completed a circumnavigation themselves as part of the rally. I wish that I could be there. Next year… There are still remnants of the careening dock that was used to pull over navy ships for bottom work. 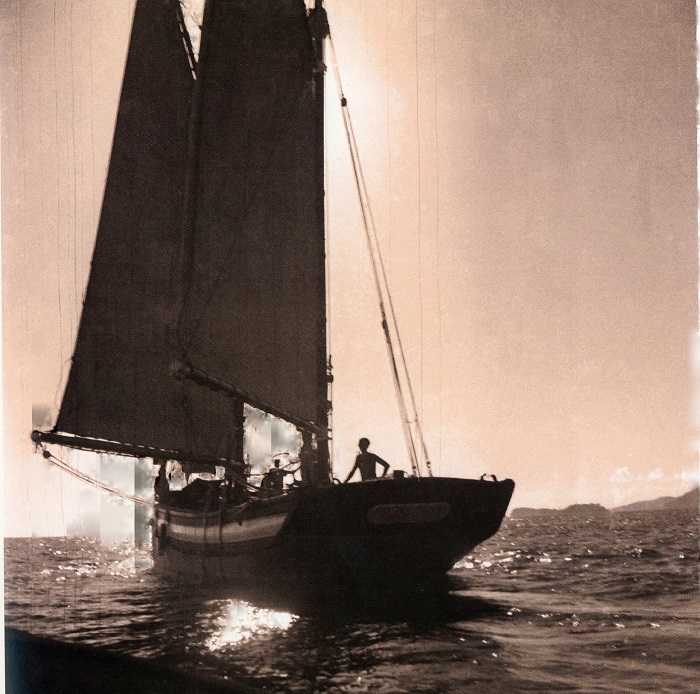 The Nicholson family used similar equipment to restore yachts in the early years. 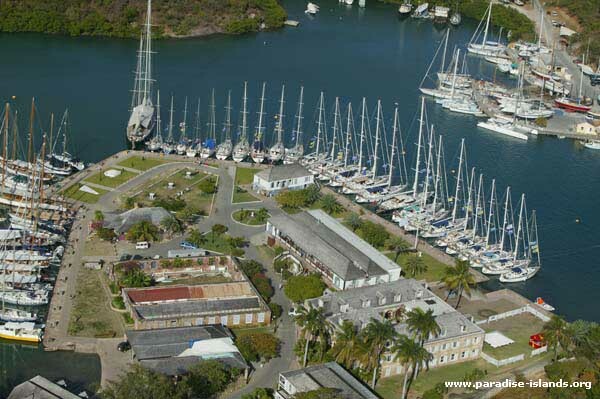 Nowadays, right across the harbor, there is a full service yard with a railway servicing yachts of all sizes. Most everyone visiting the island makes the pilgrimage up to the British Navy era Shirley Heights fort overlooking the harbor. Here’s Desmond and his young bride Lisa, C1958. 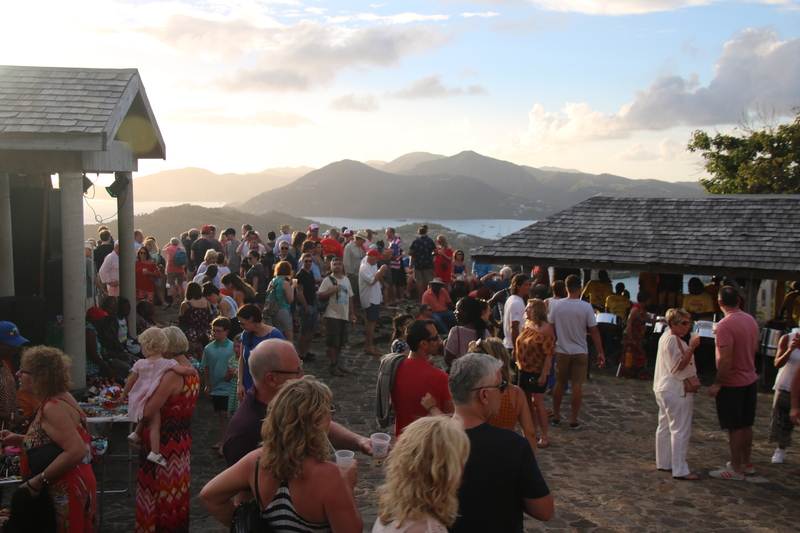 The Lookout is still a tremendously popular spot to watch the sunset for locals and visitors alike with barbecues and bands performing at sunset every week. Crowds or not, this view will never be beat and no less lovely than it was when the Nicholson family first made landfall. It’s no wonder that they decided to stay and make a life for themselves on the island. 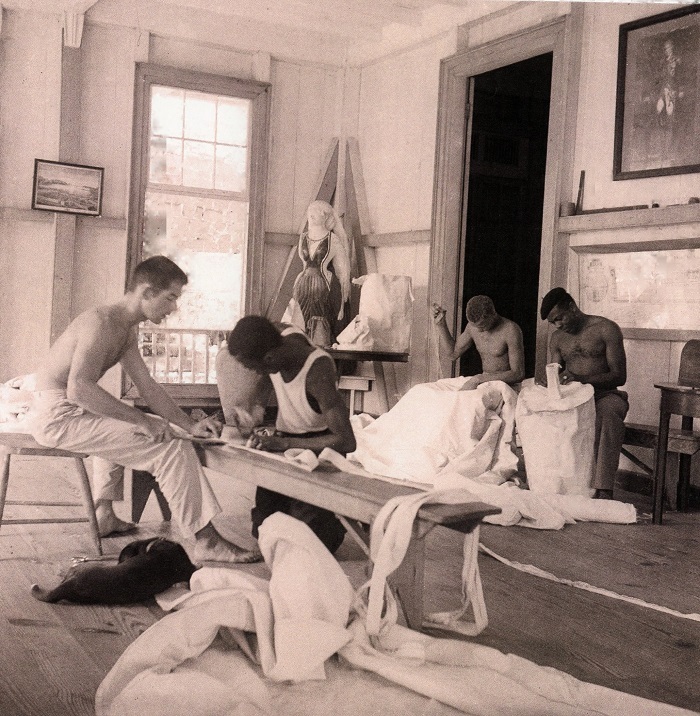 Sail making has always been a part of the Dockyard, including during Desmond’s time. I’ll bet that the figurehead in the corner has an interesting story to tell. And that craft remains a vital part of the Dockyard today. 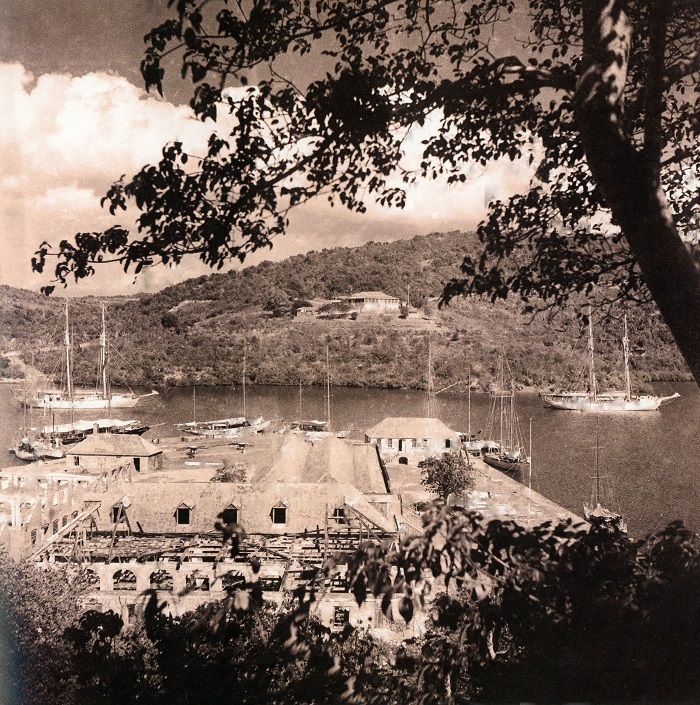 A&F Sails is located in the Dockyard, owned and operated by the Commodore of the Antigua Yacht Club, Franklyn Braithwaite. He’s a great guy and has been tremendously supportive of the Salty Dawg Rally. 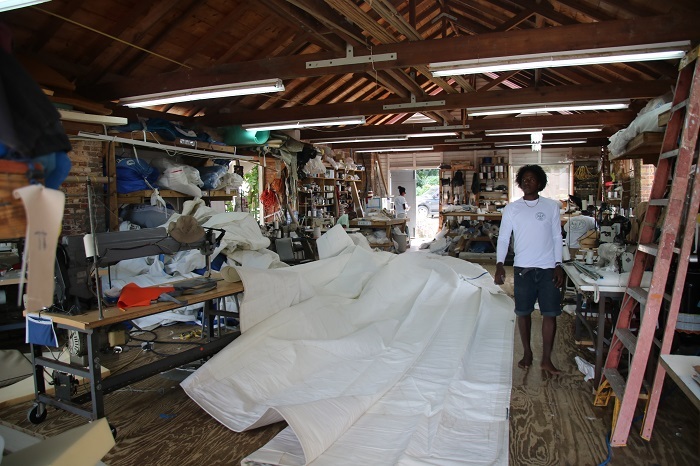 In addition to Franklyn’s loft, the Dockyard is home to many marine related businesses. 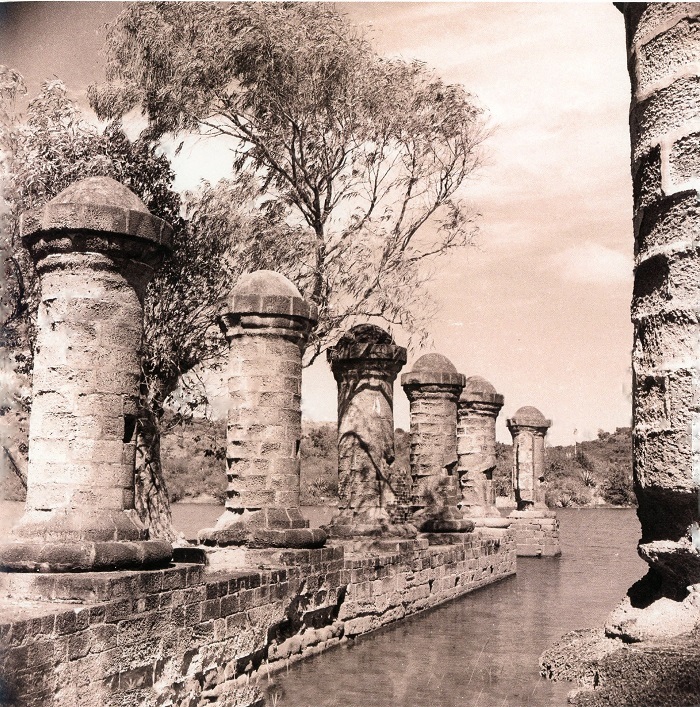 These stone pillars, now part of the Admiral’s Inn, were once the base of the loft that took care of the sails for naval ships. In Nelson’s day, the channel between the columns allowed ships’ gigs to row under the building and have sails lifted into the loft for service. 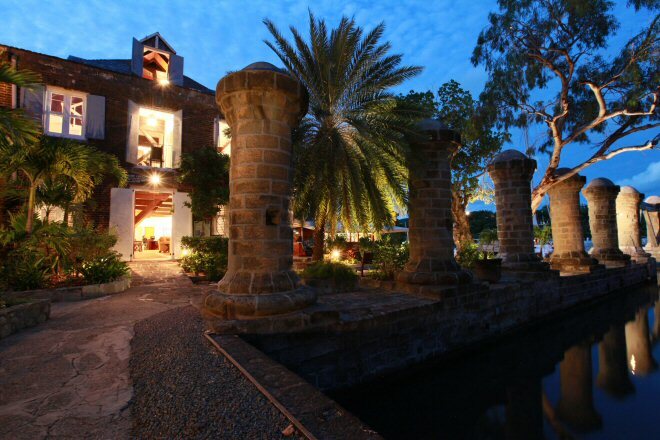 Today they serve as an iconic backdrop for the Admiral’s Inn, run by siblings Astrid and Paul Deeth. Their parents founded one of the earliest resorts in English Harbor. These columns are quite a sight as is the rest of the property, especially in the evening. Astrid and Paul have been tremendously supportive in helping me organize events in celebration of the arrival of the rally for the last few years. The Dockyard plays a big role in the arrival of the Salty Dawg fleet. We have a number of events in the Dockyard and cap our week of celebration with a dinner by the pool at Boom, part of the Admiral’s Inn. The view of the dockyard from that spot is really impressive. 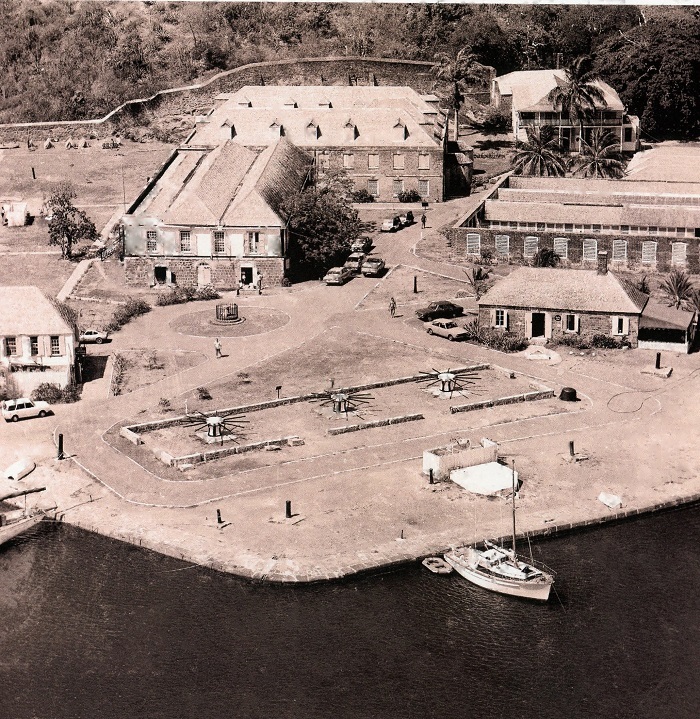 Across the harbor from the Dockyard, is Clarence House, built in the early 17th century as the residence for the Duke of Clarence, Prince William IV. 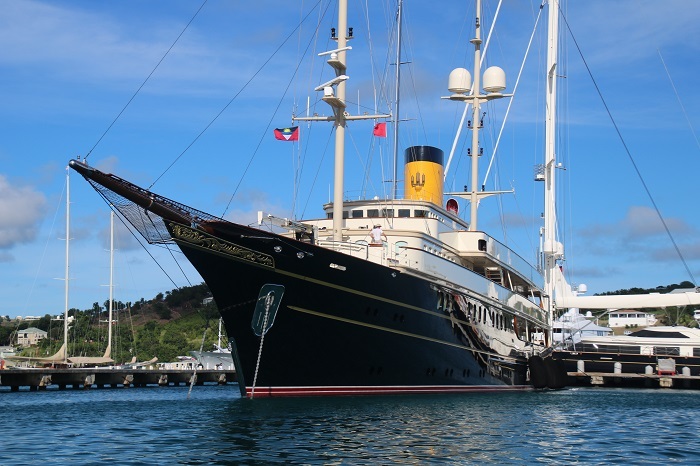 The restoration of the building was made possible by a grant from Sir Peter Harrison, who now keeps his yacht Sojana, in the Dockyard during the winter season. When the refurbished Clarence House was officially dedicated in 2016, Prince Harry was on hand. His appearance in Antigua was chronicled in the Daily Mail of UK. This shot shows Clarence House on the hill. Today English Harbor and Nelson’s Dockyard remain a vital harbor for cruising and charter yachts alike and it all began with the arrival of Commander Nicholson and his family so many years ago. 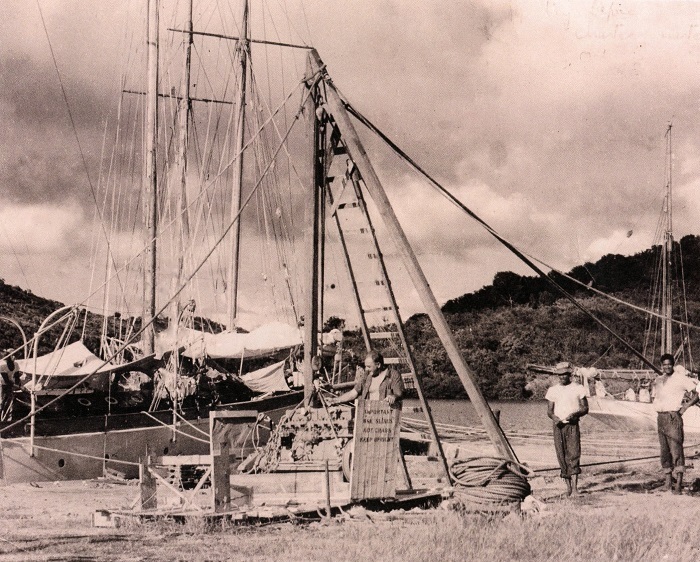 Every cruiser or yachtsman who arrives in the harbor owes a debt to the Nicholson family that had the vision to help remake English Harbor into what it is today, perhaps the most wonderful place to make landfall in the Caribbean. 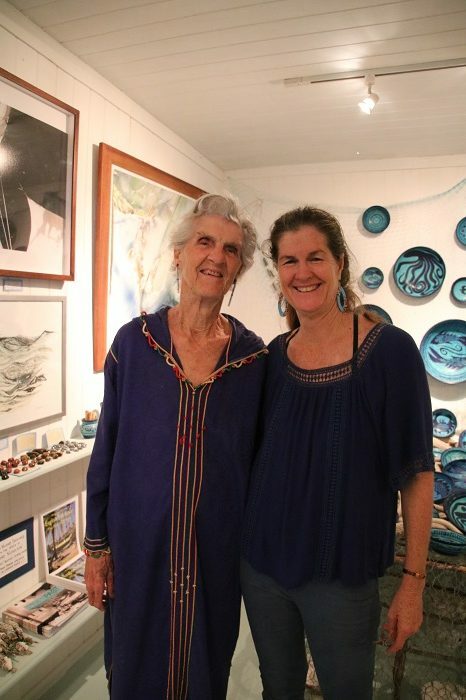 As part of the arrival events for the Salty Dawg fleet last November, Nancy Nicholson, daughter of Desmond and Lisa, hosted an arrival event in conjunction with the season opening of her gallery, Rhythm of Blue art gallery. It was nice to meet her mother Lisa at the event with Nancy. I for one, would love to sit down with Lisa to hear more about what it was like in the Dockyard during those early years. So many years have come and gone since Mollihawk arrived in English Harbor but the legacy remains, a good example of how important the vision and work of even a single family can be. In addition to his work revitalizing the Dockyard, Desmond was instrumental in helping to develop the original website for the Museum of Antigua and Barbuda, www.antiguanice.com. That site along with his many books and articles ensure that Desmond’s legacy in Antigua is secure and the results of his work will continue to benefit the island for decades to come. Read his obituary here as it lists many of his impressive achievements. 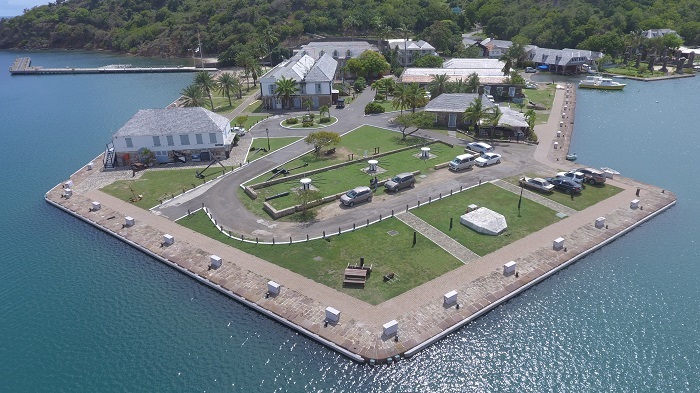 Those who spend time in the Dockyard and, for that matter, all of Antigua surely owes a debt of gratitude to the Nicholson family who helped spark the revitalization of what has become a jewel in the crown of Antigua, Nelson’s Dockyard. I look forward to joining the Salty Dawg fleet in the Dockyard this coming November and will raise a glass to those who made it possible. Woah, these photos! Where did you find them? Jeez!